Like everyone else, no matter their career, I often contemplate just "how I got here." What events in life brought me to where I am today; and, who has influenced me the most in this business? It's curious, that I've yet to meet a single agent who actually set out on a career path towards real estate. Rather, so many of us have grown into it from other professional backgrounds, myself included. 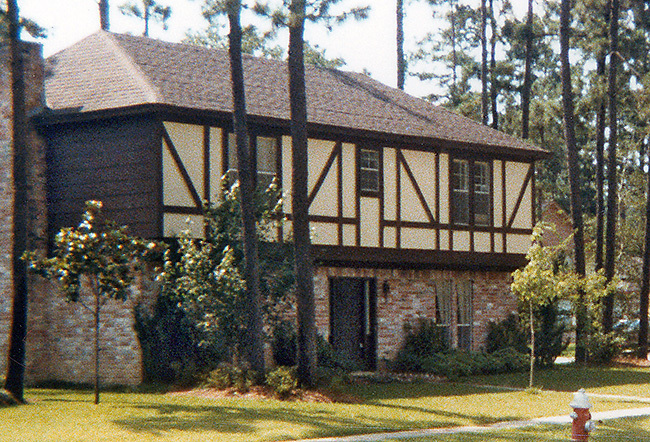 I can trace my initial real estate inspiration 37 years ago, when we moved to Northwest Houston - an area generally known today as Lakewood Forest. My parents bought a home from a custom builder in the Heatherwood subdivision just by looking at the blueprints - and a slab foundation. I was only 6 years old during the construction phase, and I vividly remember visiting the builder's office multiple times, picking out carpet, tile, paint, wallpaper & lighting. I even remember the final walk-thru when my mother was annoyed by a cigarette burn on the floor tile in the breakfast room. The process was exciting & fascinating - and of course, I was in heaven with a new bedroom, my own big bathroom & huge back yard! That's when I met Virg Talac, an agent with Gary Greene Better Homes & Gardens. I don't recall how my mother chose Virg, though I think it was due to her signs being all over the neighborhood; they were a constant fixture. Virg seemed to always be working! Even during the listing appointment, she was there past 10pm. Once listed, an offer came in pretty quick - about two weeks, which was amazing at that time, in an area of Houston known as the "Foreclosure Rainbow." I was already asleep - and I'll never forget my mother literally bursting thru my bedroom door, leaping onto my bed, and exclaiming, "It's Sold, It's Sold!" She didn't realize at the time, but she truly scared the crap out of me! Does Anyone Dream of Becoming a Real Estate Agent? Nadeen Stepp, Houston TX - Nadeen has been a successful Remax agent in Northwest Houston for over 30 years. I know Nadeen from when she was a neighbor in the late 70's - and she was the first impression for me of what it looked like to be successful in real estate - little did I know at the time, how hard she must have worked! Virg Talac, Houston TX - In 1986, Virg was an agent with Gary Greene REALTORs® in Houston - she listed my mother's house, and I watched her every move. LOL... I remember being fascinated by all those MLS sheets she carried with her! Her signs were literally everywhere. Patti Wallace, Midland TX -Patti is an agent with RealEstateOne, and she was my agent for 14 transactions over a 15 year period in Midland. It goes without saying of course, that Patti has had a tremendous influence on my own real estate business. Lori Wakefield, Austin TX - Lori is an agent with Keller Williams - and is a "class act." I met Lori during a listing presentation for my own Austin home. We didn't choose Lori (which I freely admit was a mistake). I've watched her continue to expand her business - and appreciate her marketing style. Susan Conti, Austin TX - Susan was an agent with Coldwell Banker United, and a charter member of Austin's Elite 25. Susan listed my Austin home during a difficult time, as I was dealing with a major health issue. She later helped me purchase & ultimately sell another Austin home in 2011. I admire her true class & no-nonsense style of doing business. Jennifer Allan Hagedorn, Crestview FL - Jennifer is an author, and owns Sell With Soul, a real estate consulting company built on the "Golden Rule" - and that you don't have to be a shark to be highly successful in real estate. She inspired me a few years ago to finally get off my duff and get into this often crazy business. Debra Trappen, Bellevue WA - Debra now runs her own show - D11 Consulting. I knew Debra first from Twitter, and then my time at Coldwell Banker Bain. She has a gift for focusing on the positive - and LOL - probably of knowing when to NOT speak! Her frequent inspirational writings serve to keep me in check. Michael McClure, Plymouth MI - Michael is very accomplished in real estate & always has a hand in interesting real estate endeavors - the most influential of which is the Raise the Bar in Real Estate Group. Anyone who can both corral & inspire a large group of agents without imploding deserves kudos! Chris Smith, Brooklyn NY - Chris likely doesn't need an introduction to anyone reading this! Had it not been for Tech Savvy Agent, and later a couple of Facebook groups, who knows how many resources & relationships I wouldn't have ever discovered. Jay Thompson, Seattle WA - Jay previously worked for Zillow, but previously operated his own real estate firm in Arizona. Jay built a huge following and a business on blogging & social media, which still serves as an inspiration to many real estate marketers. Leslie Ebersole, Saint Charles IL - Leslie is an agent with Baird & Warner, with whom I've become aquainted with via Facebook. While we may not always agree (who does), I admire Leslie for her deep understanding & care for all issues facing us & the clients we serve in real estate. Ben Fisher, Park City UT - Ben is an agent with Sotheby's, and we've chatted quite often over the past two years about web marketing. His growing success in the luxury market and his backlink profile motivate me to keep it up! Inna Hardison, Palm Coast FL - Inna owns HA Media Group - a marketing firm specializing in real estate. I admire Inna's fearlessness for speaking her mind when things need to be said - a quality which is lacking in our "politically correct" world. Wendy Mariani, Snoqualmie WA - Wendy is a mortgage advisor with Absolute Mortgage, and sort of a neighbor. I trust Wendy implicity with any of my clients. I admire her level of class, professionalism, and desire & talent for getting things done correctly from the start! Jonathan Boatwright, Austin TX - Jonathan owns RealtyAustin - a brand I've watched grow for several years while still living in Austin. I greatly admire the brand and platform he & his team have built... and I'll admit, I'm jealous of all that website CONTENT! Eric Marke, North Hollywood CA - Eric owns Home Value Leads - and is well-known to many agents via Facebook. I'm inspired by Eric's "get sh*t done" attitude" (for lack of a better term) - and what he's built in the past year due to his tireless effort - and probably a lack of sleep! Roianne Cox, Vancouver WA - Roianne is an agent with Coldwell Banker Seal - we too met via Facebook. When it comes to pretty much everything web related, we can literally chat for hours - and have! I admire Roianne for not being willing to settle for "web mediocrity." Sam DeBord, Seattle WA - Sam owns SeattleHome.com (yes, Sam... that's a "follow" link) and is with Coldwell Banker Danforth. Sam and I share a passion for building our own "house" so to speak in the online world - and I admire his continual efforts. Marguerite Giguere, Tacoma WA - Marguerite is an agent with Windermere - and she's hilarious! I'm certain she's totally serious when it comes to business... but I admire her for her comedic candor and artistic flair. She's proof that real estate, CAN indeed be FUN! 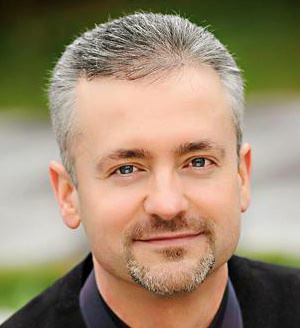 Morgan Carey, Nanaimo BC - Morgan owns RealEstateWebmasters - and online marketing platform for agents. I've observed Morgan for several years, well before being a client. I admire Morgan for his candor, the scope of his knowledge for all things web related, and for being engaged with his customers.